The Swedenborg Foundation is pleased to announce that it is a distributor of seventeen titles published by the Swedenborg Society located in London, England. The Swedenborg Society has been publishing high-quality books about Emanuel Swedenborg for many years, but those books have been hard to find in North America because of high import costs. Now customers and booksellers on this side of the Atlantic will have easy access to these sought-after titles. For the first time anywhere, Swedenborg Society titles are now also available as e-books. Formatted to work on any type of e-book reader, the e-book editions are offered at a substantial discount off the cover price of the printed volumes. Some of the older titles are still undergoing conversion, but will be available soon. The seventeen titles include sixteen books and one video that cover a range of topics including classic reference works for research; biographies and memoirs about the life and works of Emanuel Swedenborg; essays that highlight Swedenborg’s cultural and historical influence on philosophy, arts, life and literature; and books based on the Swedenborg’s ideas. Among the biographies and memoirs is Swedenborg’s Secret by Lars Bergquist. Using a wealth of historical material, Bergquist paints a vivid portrait of an ambitious and practical man who was one of the greatest figures of the Enlightenment and who captivated generations of thinkers with his stunning vision of human destiny. Written in 1782, Memoirs of Swedenborg by Carl Robsahm is a compelling eyewitness account of Emanuel Swedenborg; this memoir is a classic in its own right, and the volume also contains eight other documents that illuminate Swedenborg’s day-to-day life, including three written by Swedenborg himself. 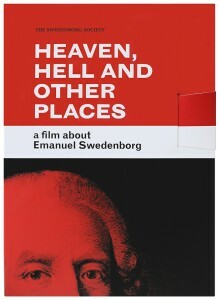 Heaven, Hell and Other Places: A Film about Emanuel Swedenborg is an ideal introduction to the life and work of Emanuel Swedenborg. Filmed on location in London, and Sweden, the documentary is presented by author and musician Philip Makatrewicz and features exclusive interviews with expert writers Gary Lachman, Lars Bergquist, and many others. The Swedenborg Society offerings include reprints of historically significant writings about Swedenborg; one such reprint is Ralph Waldo Emerson’s Swedenborg: Introducing the Mystic, originally published as part of Emerson’s book Representative Men, in which he examined what he considered to be history’s more important thinkers. On the True Philosopher and the True Philosophy: Essays on Swedenborg, a 2013 release edited by Stephen McNeilly, examines Swedenborg’s place in the history of ideas, offering an important critique of a controversial and neglected thinker and positioning his theories in terms of contemporary philosophical debate. Other collections of essays on Swedenborg’s influence include Swedenborg and His Readers by Latinist and well-known translator John Chadwick and The Grand Theme and Other Essays by Swedenborgian scholar Anders Hallengren. The journal of the Swedenborg Society, edited by Stephen McNeilly, brings together essays from some of the world’s most respected scholars and thinkers on Swedenborg and his influence. Titles in this series include Between Method and Madness: Essays on Swedenborg and Literature; In Search of the Absolute: Essays on Swedenborg and Literature; Philosophy, Literature, Mysticism; and The Arms of Morpheus: Essays on Swedenborg and Mysticism. Scholars and students of the works and ideas of Emanuel Swedenborg will find a selection of classic reference works that include A Descriptive Bibliography of the Works of Emanuel Swedenborg (1688-1772), Volume 1, Volume 2, and Volume 3 by Norman Ryder, which lists all of Swedenborg’s published works in all languages; it contains a wealth of useful and fascinating information, revealing the stories and trends behind the reception of Swedenborg’s works across the globe. Other reference titles include A Lexicon to the Latin Text of the Theological Works of Emanuel Swedenborg (1688-1772) edited by Dr. John Chadwick and Dr. Jonathan S. Rose; General Index to Swedenborg’s Scripture Quotations edited by Arthur Hodson Searle and J.F.E. Le Boys des Guays; and The Swedenborg Concordance by John Faulkner Potts. Other works based on Swedenborg’s ideas include The Five Ages: Swedenborg’s View of Spiritual History by P.L. Johnson, which presents a compelling spiritual and psychological history of human evolution through extracts from Swedenborg’s writings, neatly linking them with an engaging and informative commentary that places the ideas within the context of modern historical and archaeological knowledge. Kristin King’s Gardens of Heaven and Earth, a lyrical study that explores the roles that gardens have played in delighting and sustaining the human condition throughout the ages, investigates the various meanings gardens have had for Emanuel Swedenborg and what meanings they might hold in turn for his readers. For a complete list of all titles and additional information, visit the Swedenborg Society book page in the Bookstore or contact info@swedenborg.com. You can also place an order by calling the Foundation at 610.430.3222 ext. 109 or order through our distributor by calling 800.621.2736 (in the USA & Canada) or 773.702.7000 (outside the USA & Canada).